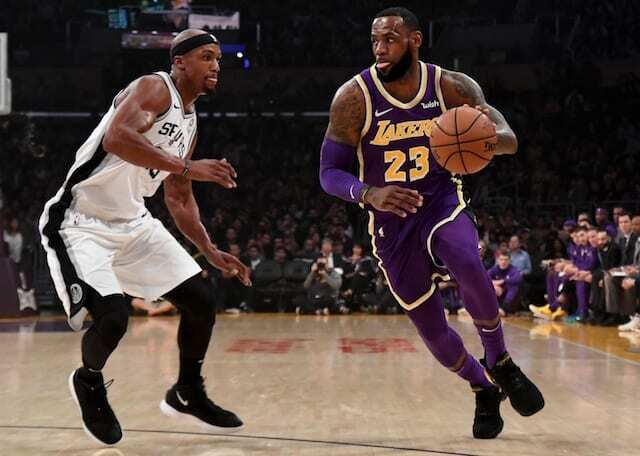 Luke Walton warned that the San Antonio Spurs would have extra motivation coming off another 30-point loss, and his words rung true as the Los Angeles Lakers clawed their way to a 121-115 victory that extended their winning streak to four games. The Lakers were hurt by early foul trouble and Brandon Ingram suffering a sprained left ankle in the first quarter. It was a result of landing on LaMarcus Aldridge’s foot on a jump shot attempt that Ingram knocked down. He immediately grabbed at his left foot remained on the floor for multiple minutes. Aldridge was charged with a Flagrant 1 foul and Ingram was removed from the game after making the free throw attempt. X-rays were negative and upon diagnosing him with a sprained ankle, the Lakers said Ingram was questionable to return. They officially ruled him out at halftime. A flurry to close out the second quarter gave the Lakers a 50-45 lead at the break. However, the Spurs dominated the third, starting the second half on a 24-10 stretch to take a nine-point lead. That was compounded by Hart picking up a fourth foul just over two minutes into the quarter. With Ingram having missed the first two matchups against the Spurs because they came while he was serving a four-game suspension, Walton hoped his presence would help the effort to slow DeMar DeRozan. In reality, Ingram’s length may have been more beneficial on Rudy Gay. He established a rhythm in the first quarter and was involved in the third as San Antonio took their lead. While Gay was having his way, DeRozan similarly got to his spots with ease in a 37-point quarter for the Spurs. When a Kyle Kuzma 3-pointer trimmed the Lakers’ deficit to one point in the fourth, Gay and DeRozan combined for a spurt that pushed it back up to eight. For as well as they played offensively, neither could stop LeBron James as he looked to take control of the game. James carried the Lakers to a 96-95 lead with one driving attack after another. When Gay’s jumper put the Spurs back ahead, James answered with a 36-foot 3-pointer. 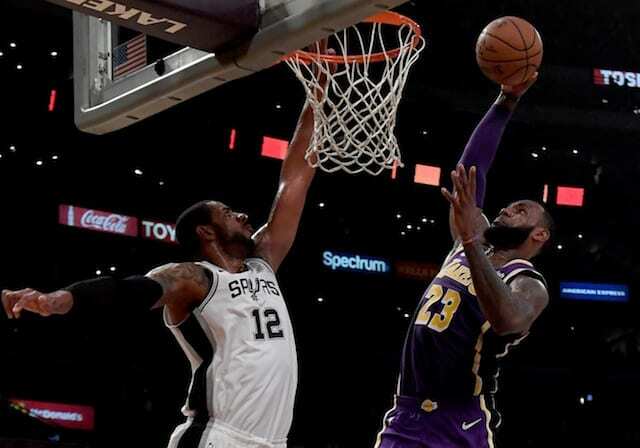 For all of James’ brilliance, he was given a helping hand late as Hart and Lonzo Ball connected on back-to-back 3-pointers, and Kuzma had a dunk off a steal to cap an 8-0 run that gave the Lakers a lead they never relinquished.